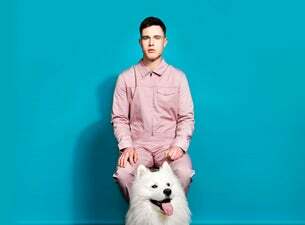 After a sellout national tour in 2017, Ed Gamble is back with a brand new tour: Blizzard. It's another bracing flurry of idiocy from the comedian. His fifth solo stand up tour, the brand new show includes Ed discussing his struggle for identity, and getting conned by a guide dog. The comedian rose to fame on the BBC America and E4 show Almost Royal, with his popularity growing since the show’s release on Netflix. He's also a mainstay on the comedy panel show Mock The Week, as well as having appeared on The Apprentice: You’re Fired, Roast Battle UK, Drunk History and The Chris Ramsey Show.